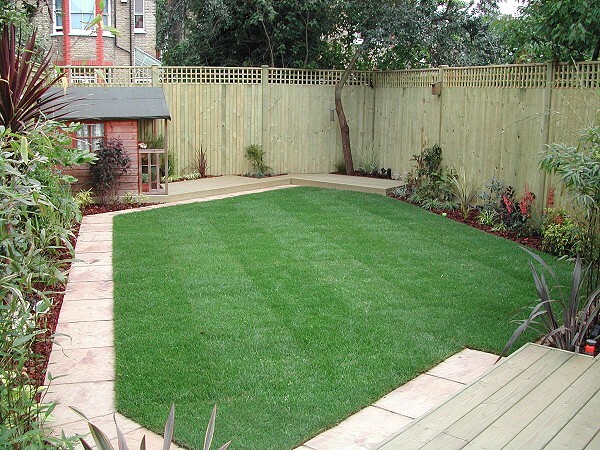 Please find a small selection of our work below. 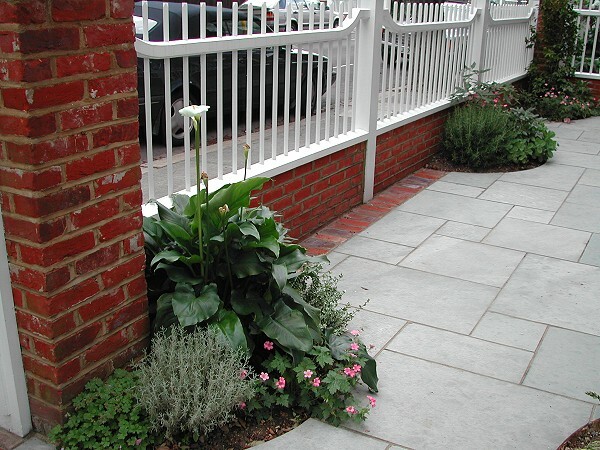 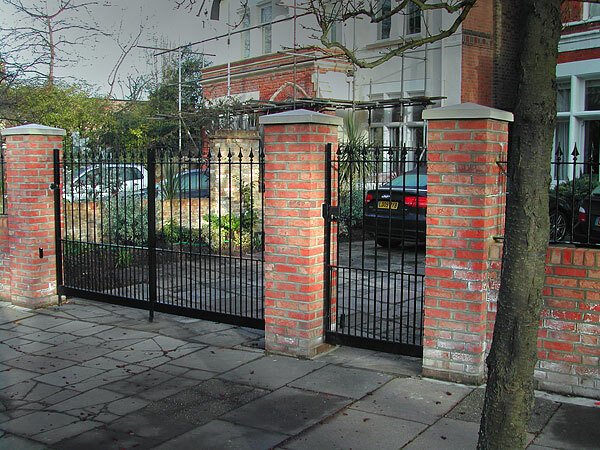 A Bedford park style fence with blue slate paving and red brick edging. 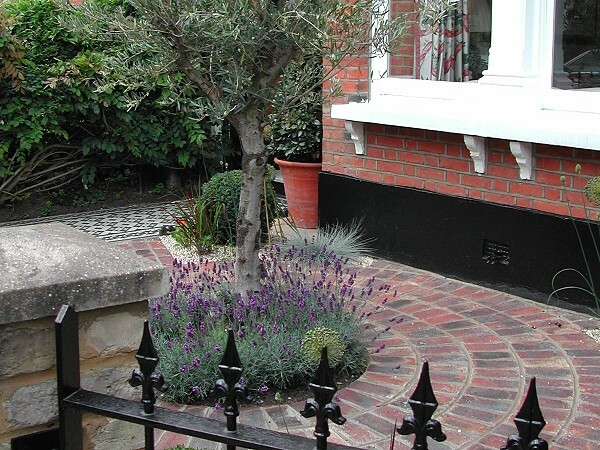 A Grove Park garden, brick circle with central feature of a standard Olive tree under planted with Lavender. 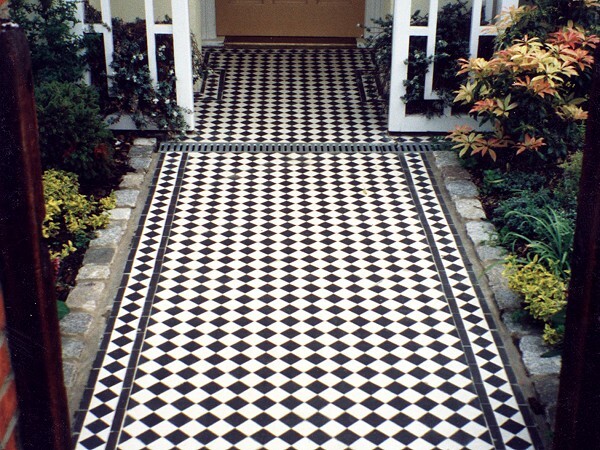 Original Tiled Path. 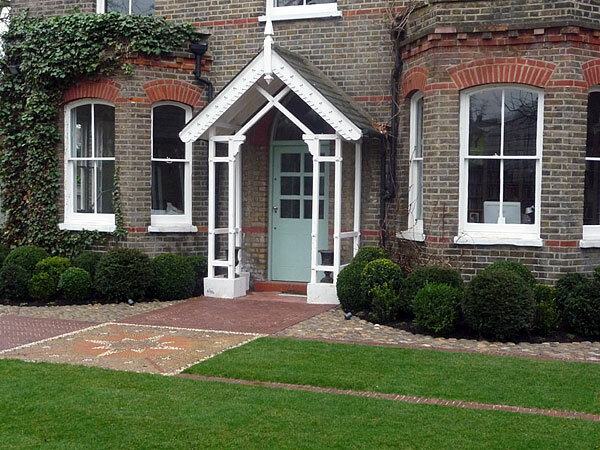 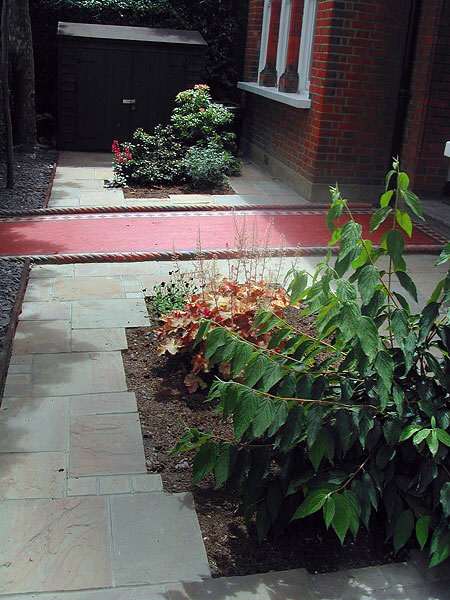 A feature of many front paths in West London, this one lovingly restored to its former glory. 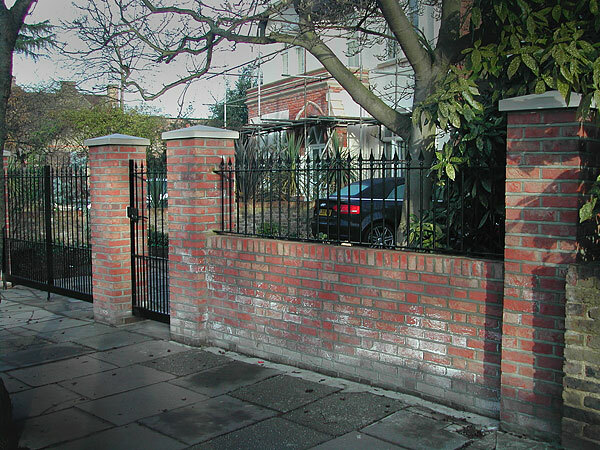 An Ealing driveway. 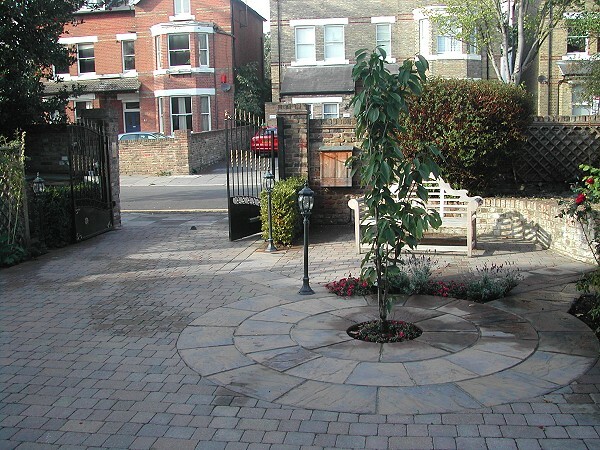 Marshalls Tegula traditional Drivesett is used to form the main drive with Calder Brown circular feature. 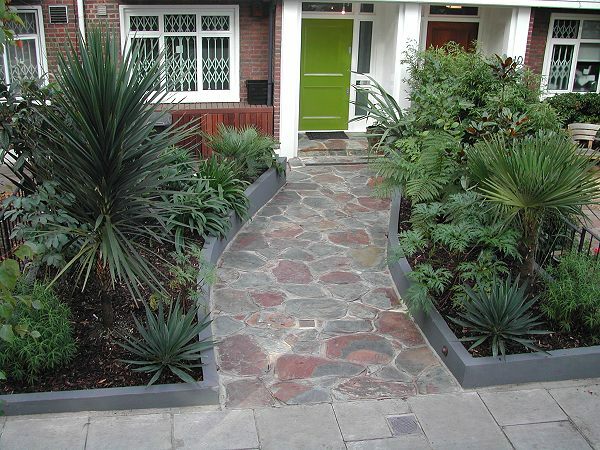 Contemporary entrance to a home in St John's Wood, tropically planted to give a constant evergreen feel. 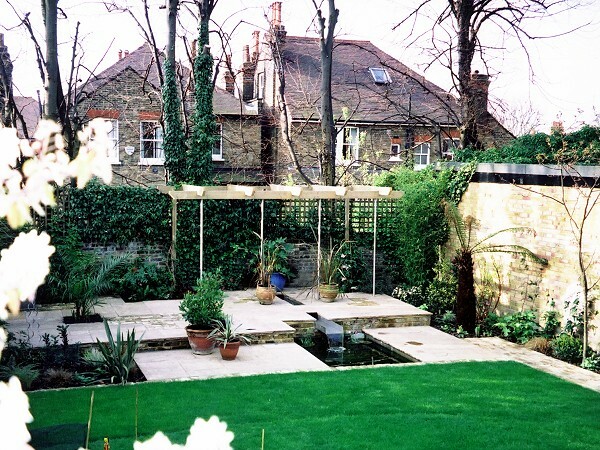 A terrace for entertaining in Ealing, complete with pond and water rill. 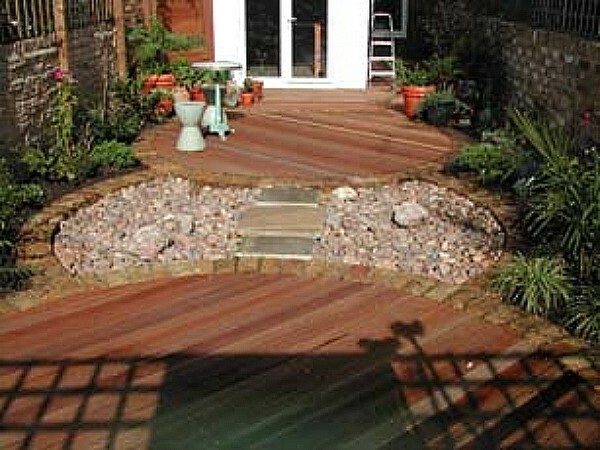 Two circular Bilau hardwood decks edged in London stock bricks with cobble and stepping stone centre. 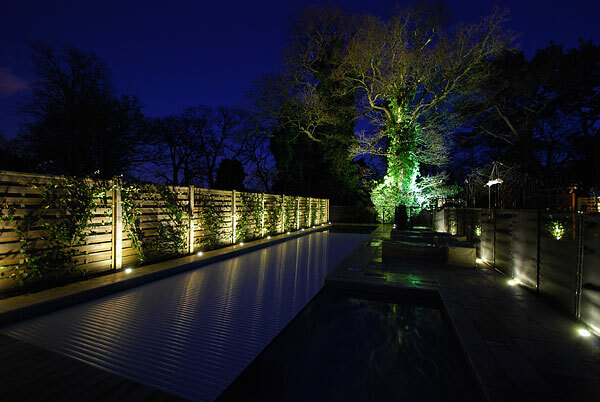 Sculpture arch with mirror, decking with lattice deck centre with lights beneath. 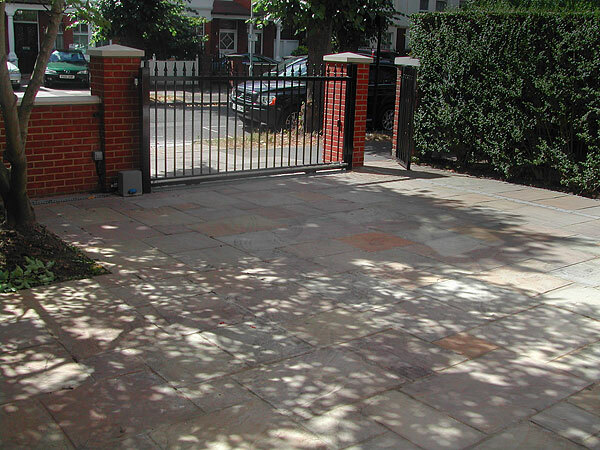 Indian sandstone edged with Ashdown multi bricks, surrounded by tropical palms, could this really be Chiswick? 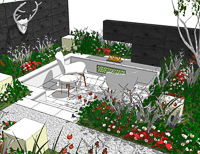 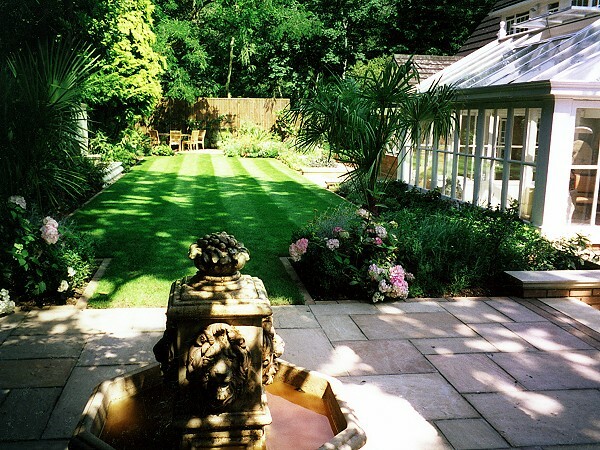 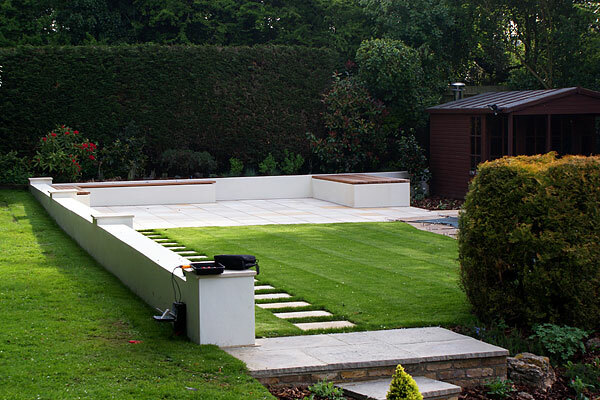 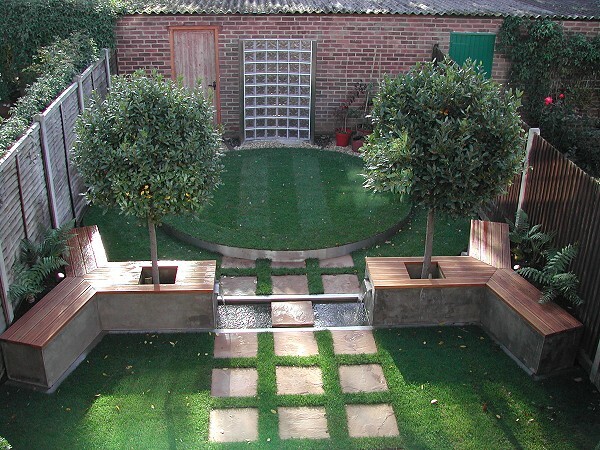 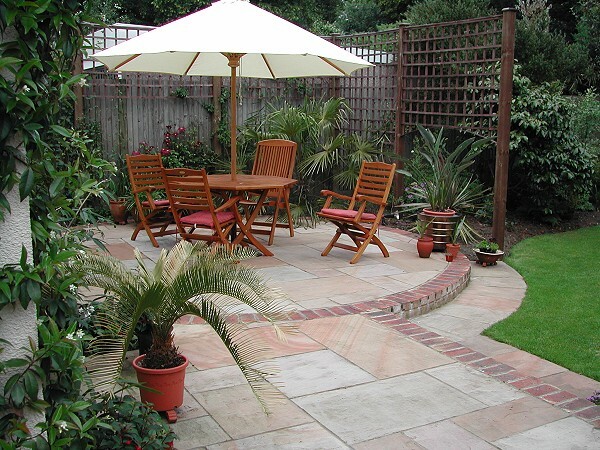 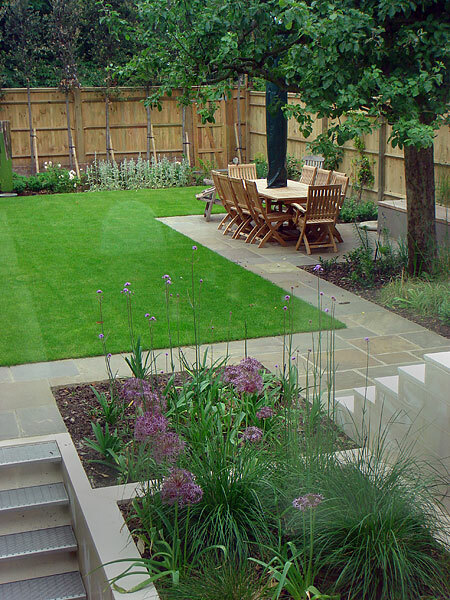 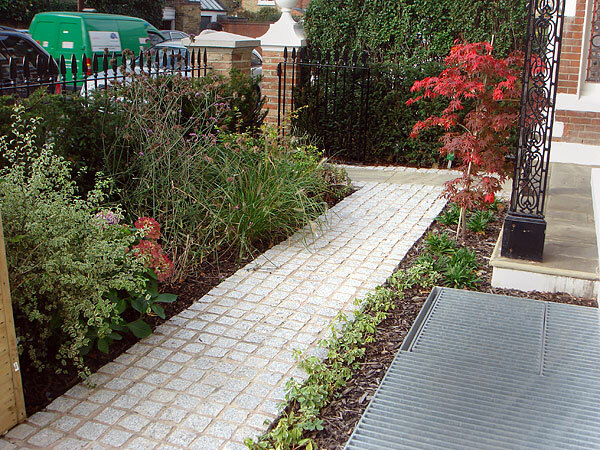 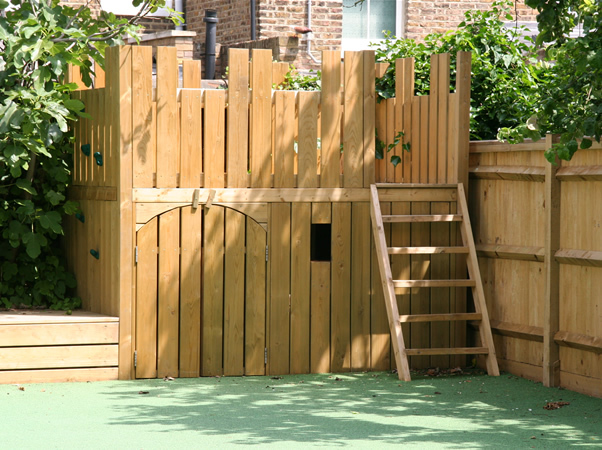 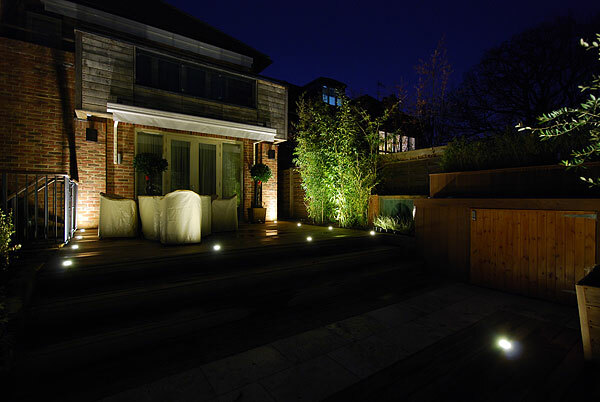 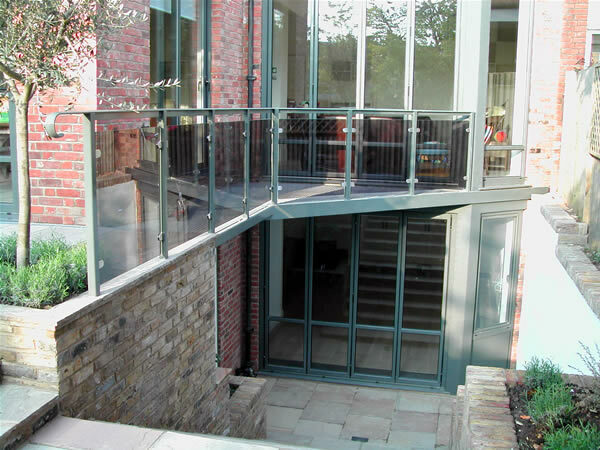 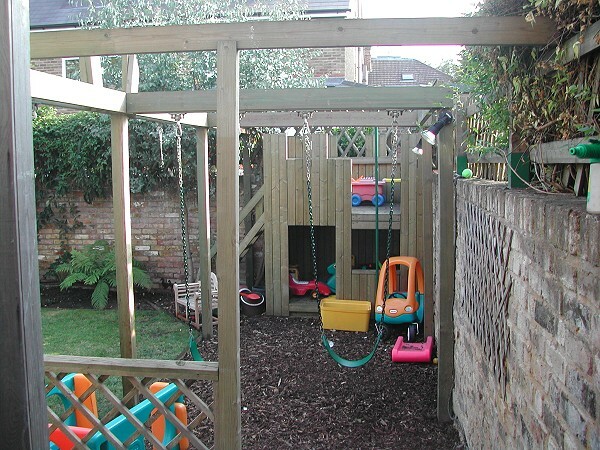 A Fulham garden for play and fun, everything off set at an angle to give the illusion of space. 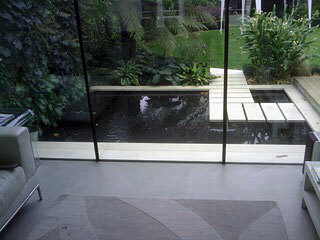 Glass, timber and Welsh slate give a contemporary feel to this space in Bayswater. 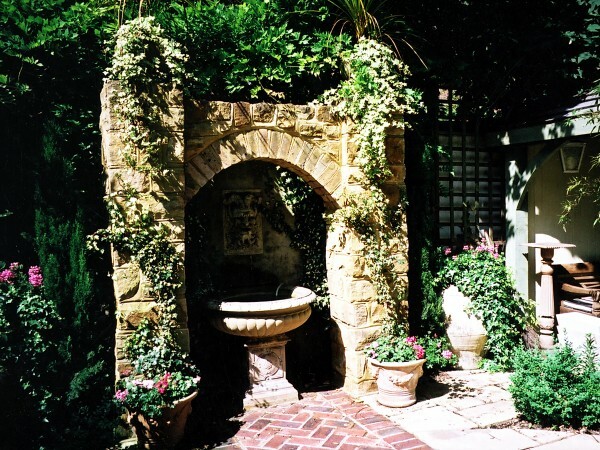 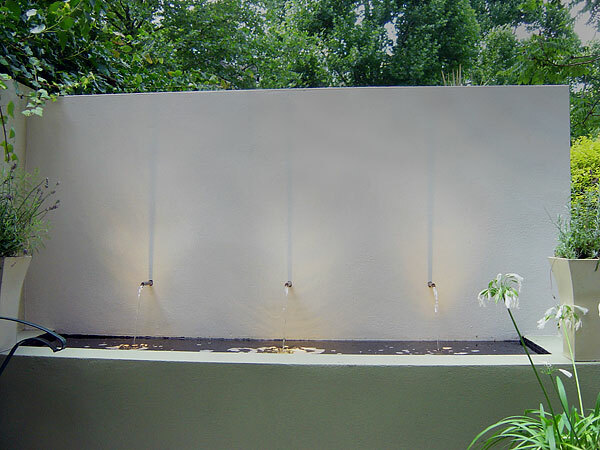 A hideaway in Kingston with two cooling fountains. 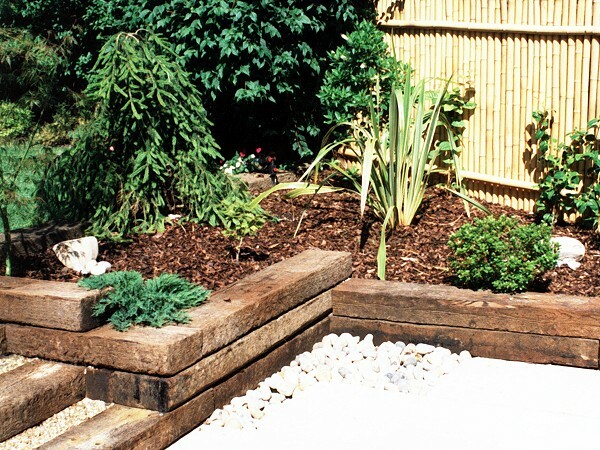 Railway sleepers with bamboo backing. 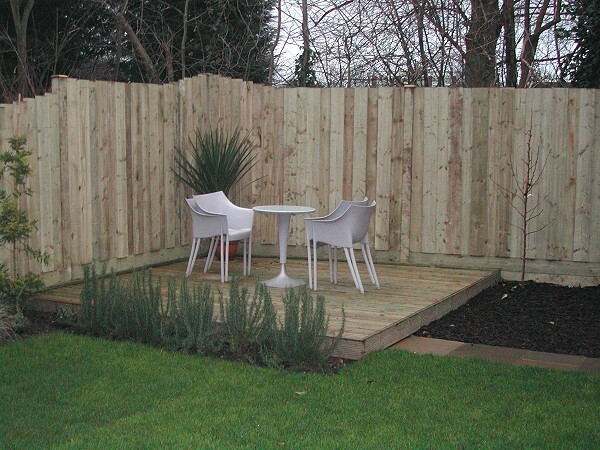 Heavy sculptured fence with softwood deck. 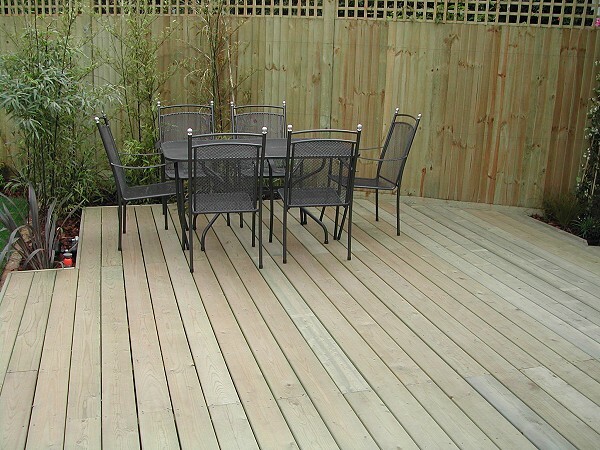 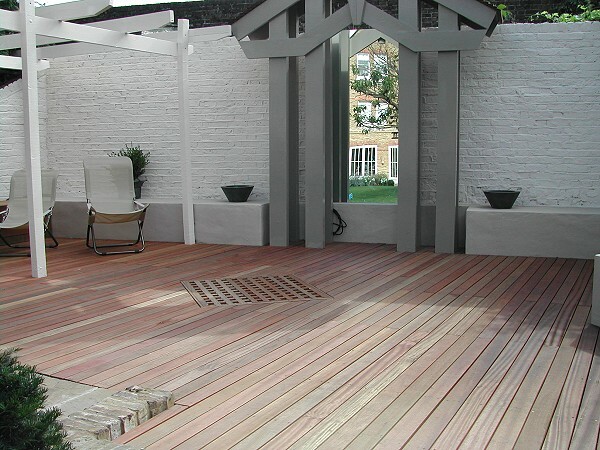 A planed treated softwood deck gives very clean contemporary line. 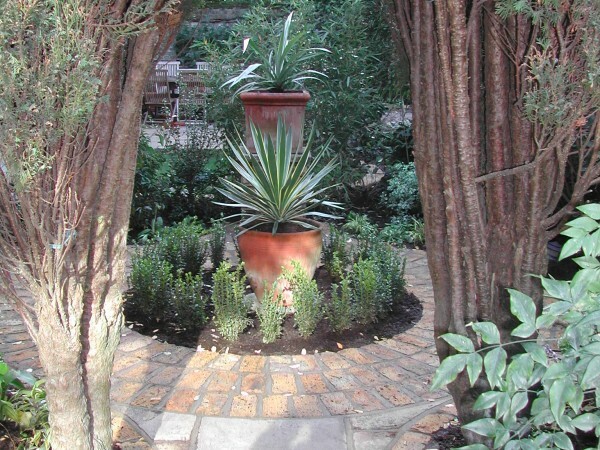 An oasis in central Chiswick. 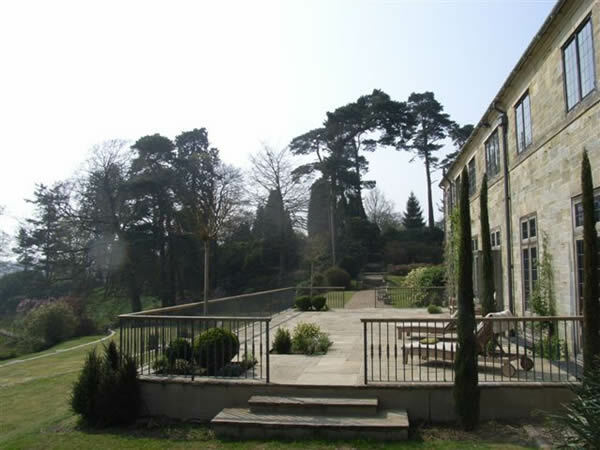 Look through the arched conifer window to whatever lies beyond. 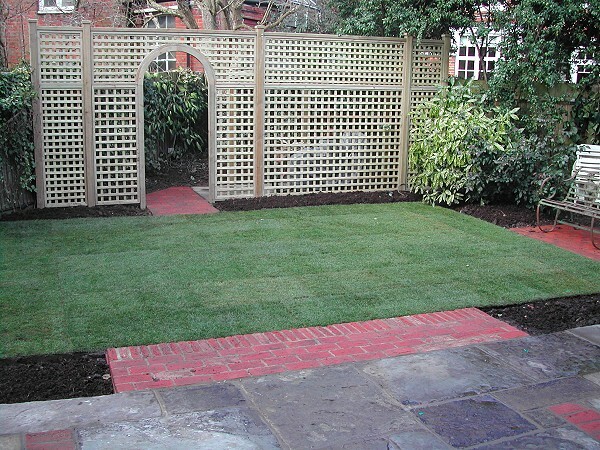 Hide the bikes behind a corner trellis screen, Antique Romsey bricks complement the reclaimed york stone paving. 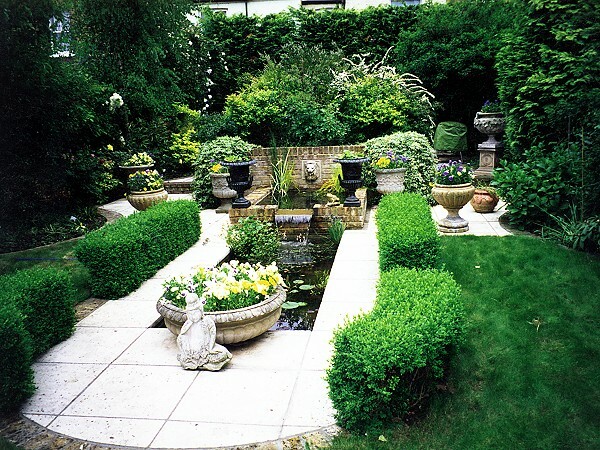 A luscious garden with long cooling pool loved by fish and unfortunately the local heron. 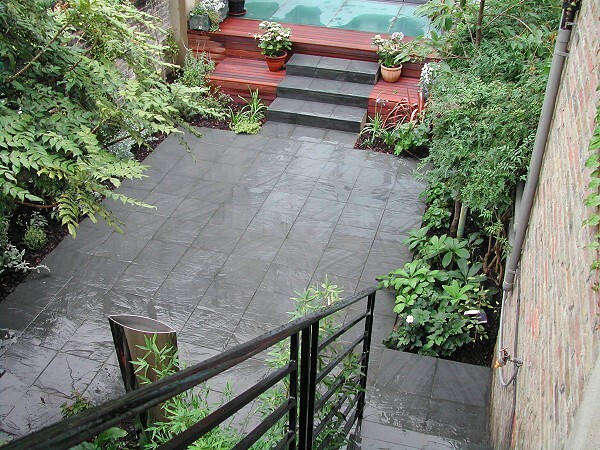 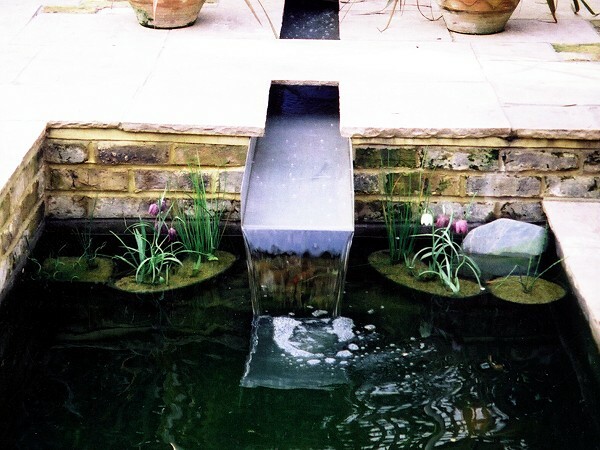 Stainless steel rill flowing gently to lower pool. 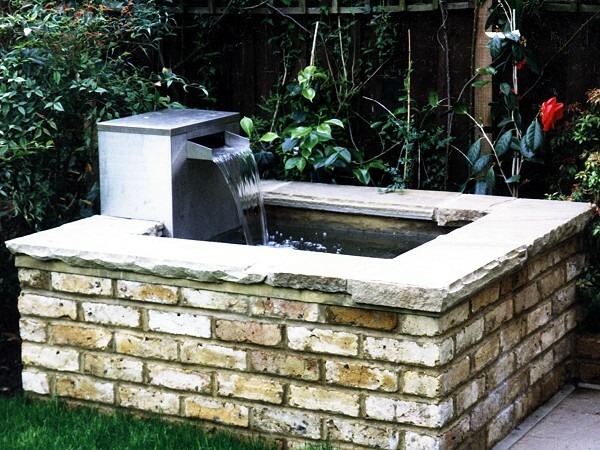 A bespoke stainless steel letterbox water feature producing a very gentle sound. 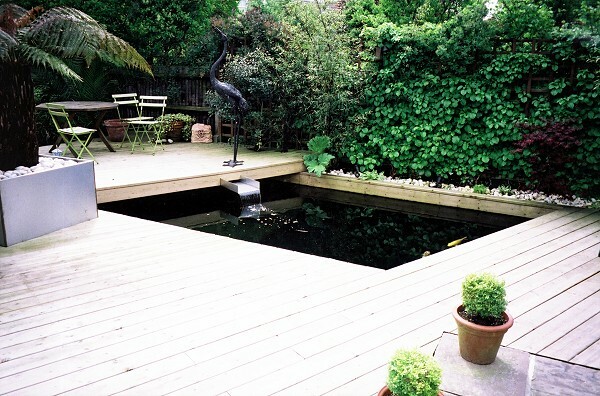 Large Koi pond extending right under the deck, underwater lights make this a magical area at night. 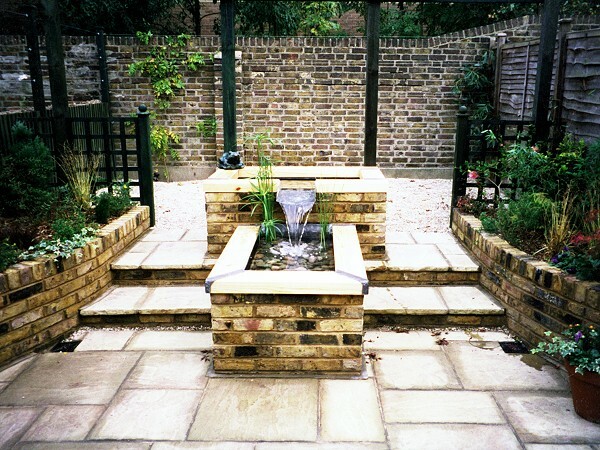 Central feature of two pools, lead chute between, constructed from London stock bricks and surrounded by Marshalls Heritage paving. 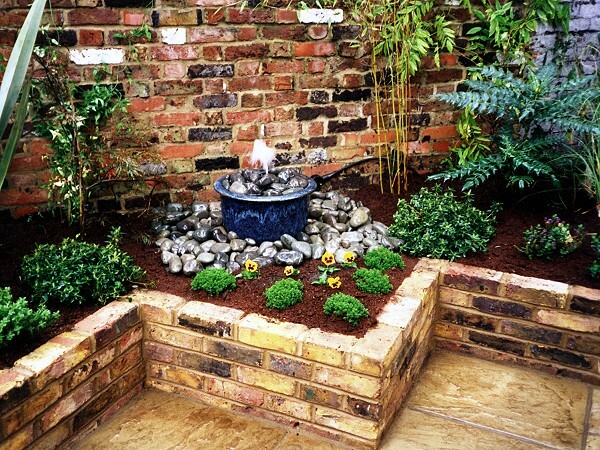 Blue urn bubble fountain in raised bed. 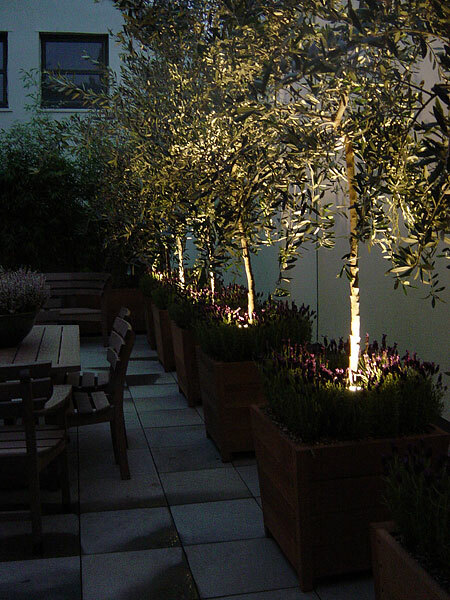 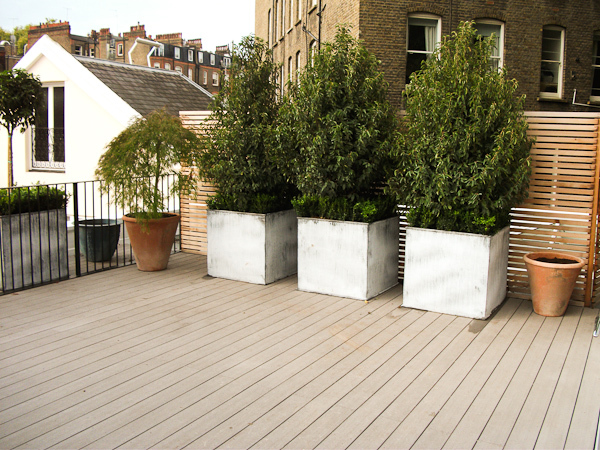 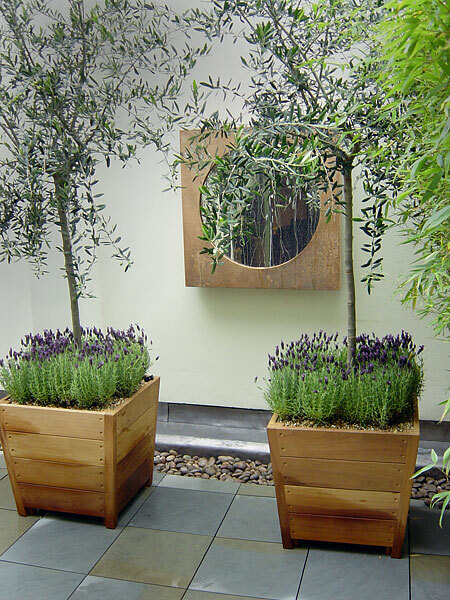 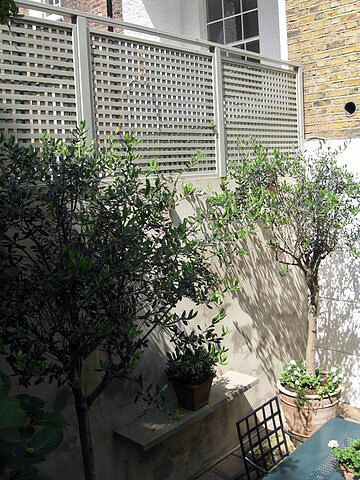 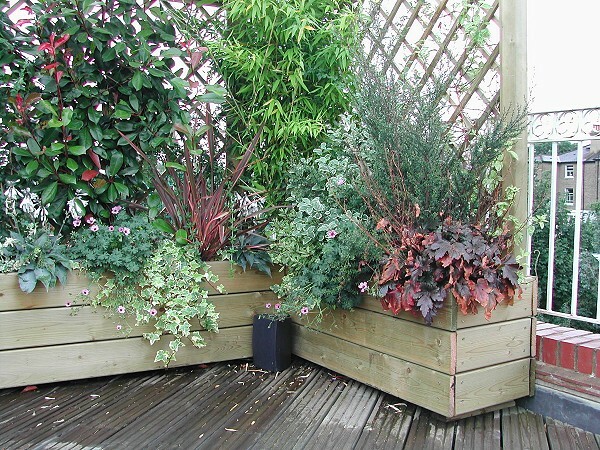 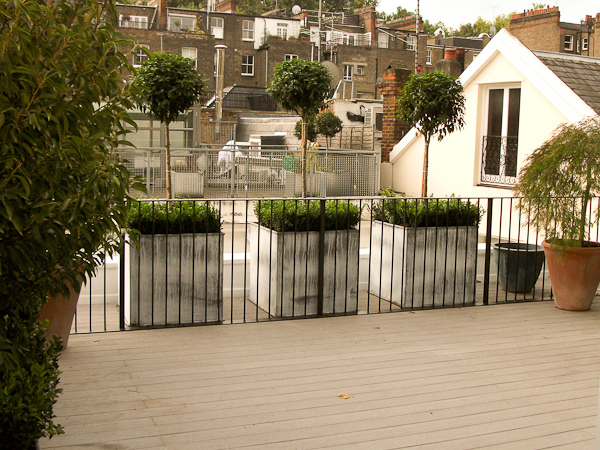 Bespoke wooden planters with integral trellis at the back, lusciously planted. 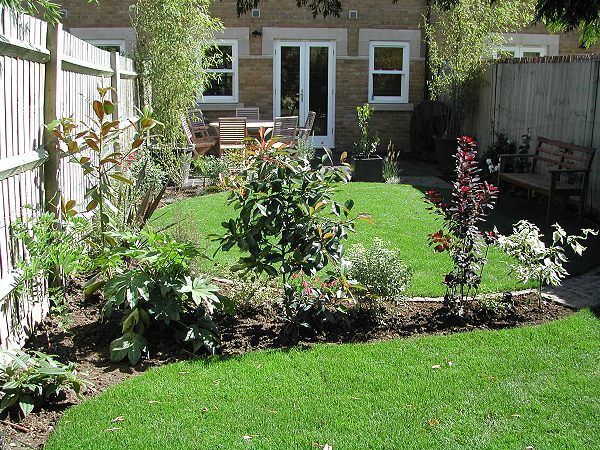 An automatic irrigation system a must. 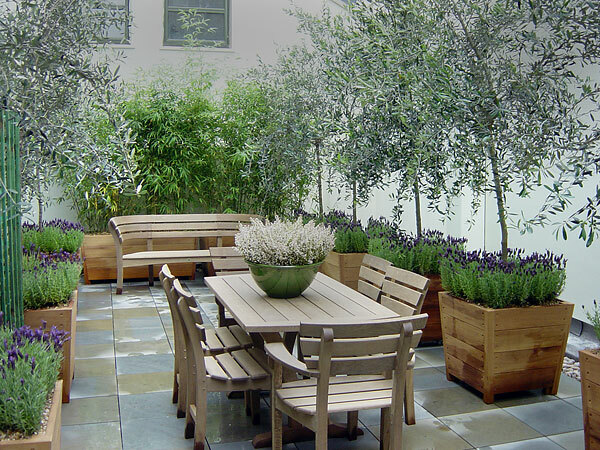 Transform your roof into an outdoor room. 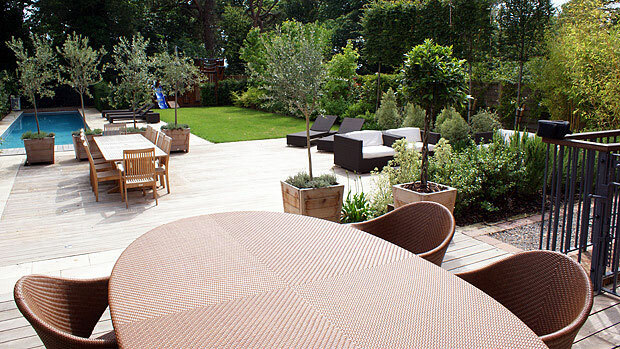 Quality is all in the detail. 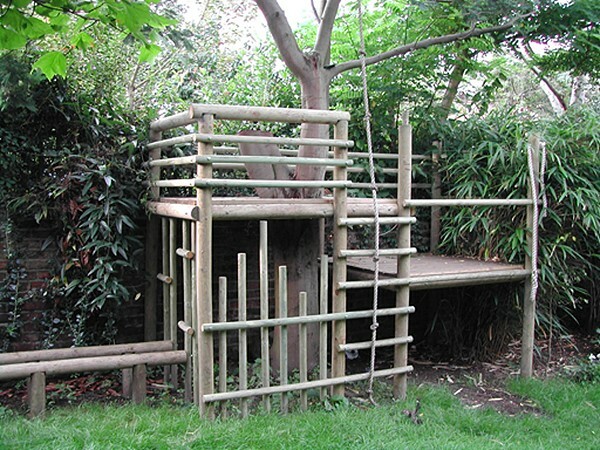 Constructed mainly from round poles with three levels, balancing poles and climbing rope. 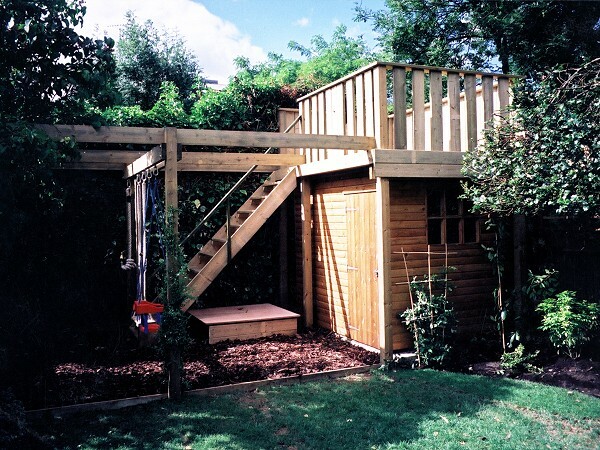 Large deck above a conventional pent roof garden shed with pergola framework attached, ropes, swings, and a trapeze give hours of pleasure. 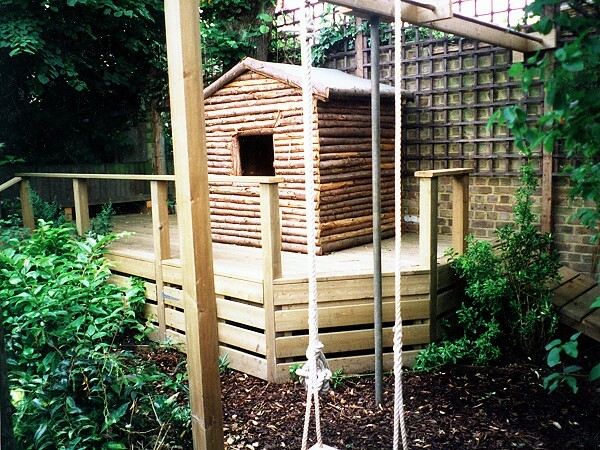 A log cabin with trap door inside leading to hidden area beneath raised deck. 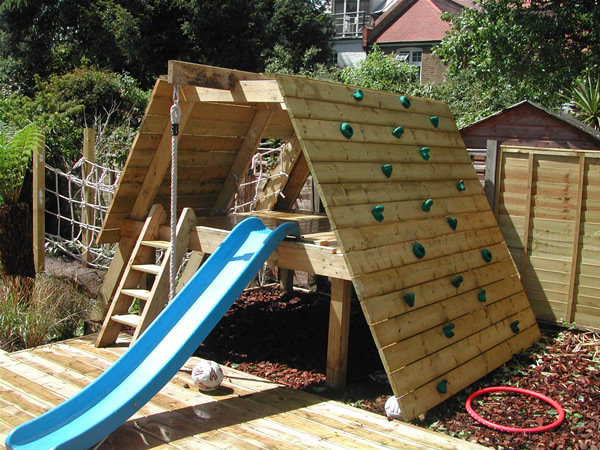 A climbing wall entrance with rope tunnel or decking bridge escape. 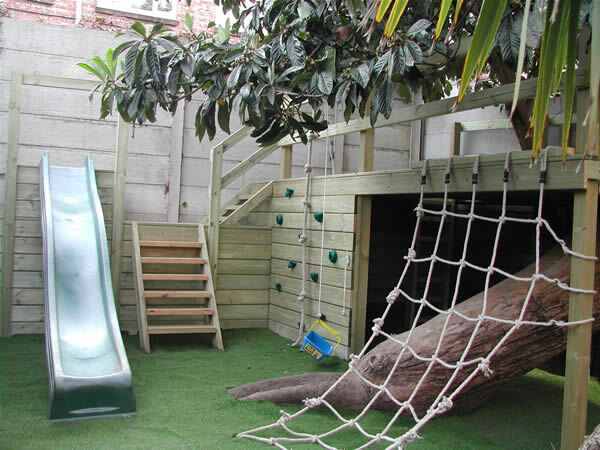 An underground sandpit with lid, surrounded by artificial grass. 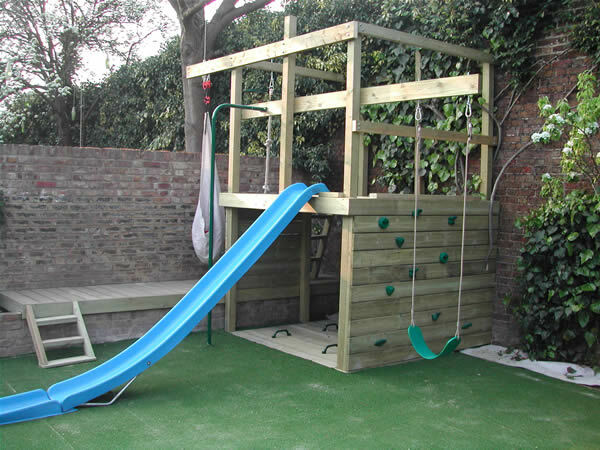 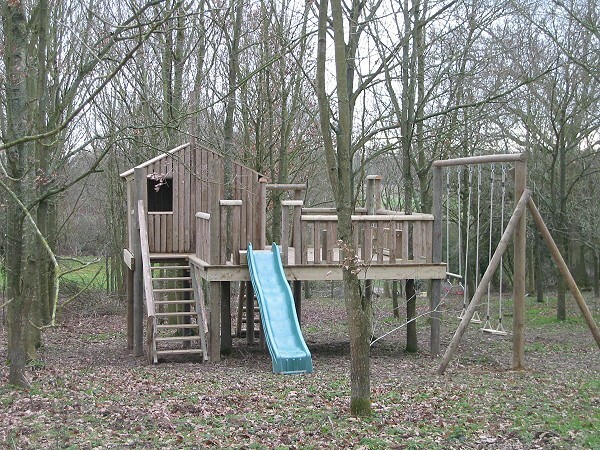 Complete play area with a large Eucalyptus as a central feature. 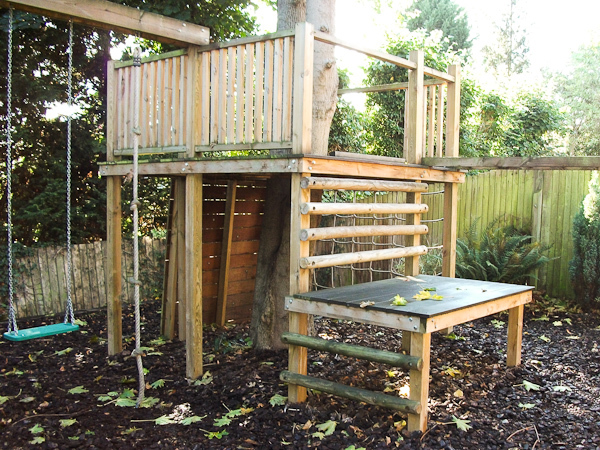 A child's home is his castle!